Global wave of chi coming your way! Once again we’re heading towards World Tai Chi and Qigong Day, when people all across the world come together mindfully to send a global wave of positive energy right around the planet. Last year people in hundreds of cities across over 70 countries took part. It’s a great opportunity for tai-chiers to come together and play, but also to let others know what it’s all about, where to find classes, what the benefits are and to have a go. It’s always the last Saturday of April, 10am local time. 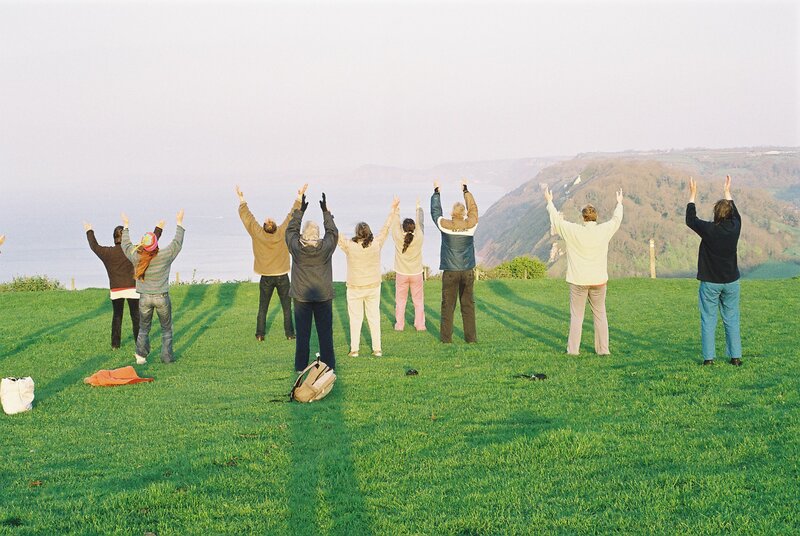 In previous years we’ve greeted the sunrise at Branscombe (see pic). This year I’ll be found on Cathedral Green, Exeter, where myself and other tai-chiers will be gathering and demonstrating different tai chi styles, and enjoying tea and chi at the Hub on the Green. Do come along and join us. And if you can’t make that, head a little further afield with us to Mallorca for our Week of Wellness – tai chi, reflexology and walks, October 4-11th. Hope you can make it. Check out prices including earlybird offers.